Following an exciting year 2016 we are looking forward to a series of events (co-)organized by Arb|Aut in 2017. 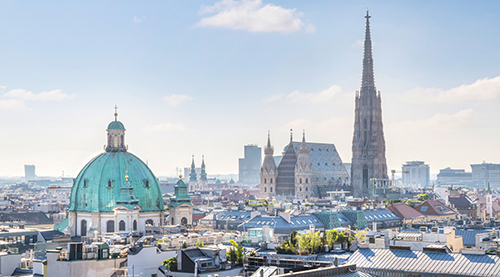 The Vienna Arbitration Days will already be held next week on 24-25 February 2017. About 250 practitioners from 30 jurisdictions have registered so far for the 10th Vienna Arbitration Days. If the schedule of the House of Lords permits, Lord Peter Goldsmith QC will give us a luncheon note on recent developments. The social program is likewise remarkable as it not only gives you plenty of networking opportunities, but also includes a visit to one of Vienna's world famous balls in the Imperial Palace (Juristenball, Hofburg). Please click here to view the detailed conference program. There is only a very limited number of tickets left. If you have not registered for the conference yet, we recommend to save one of the last tickets as soon as possible via online registration. Admissibility of Improperly Obtained Evidence in International Arbitration"
and will be followed by a Sky Lounge reception hosted by Arb|Aut. A more detailed invitation including the possibility for online registration will follow shortly. Due to the success of the Arb|Aut Forum in its founding year of 2016, Arb|Aut decided to continue with this event series. at the "Dachgeschoss" of the Faculty of Law.